Full List: Japan’s UNESCO Shrines & Temples! 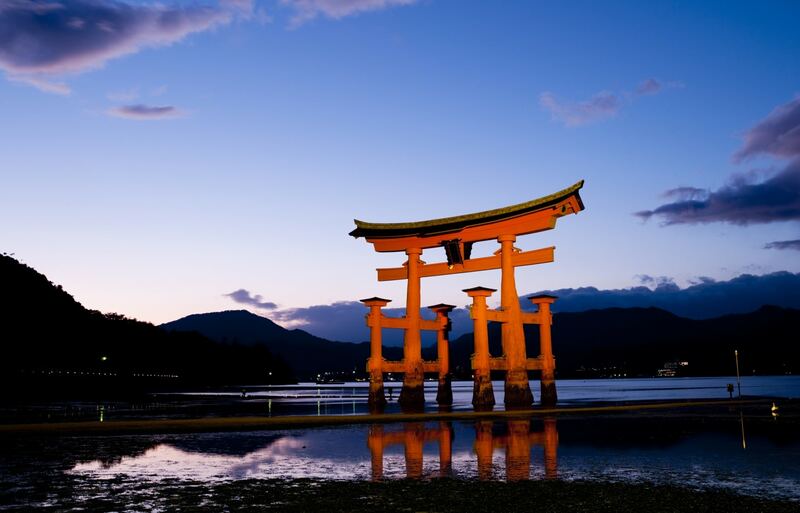 Japan is home to thousands of historic shrines and temples, and quite a few of them are UNESCO World Heritage Sites. Visiting these places offers a great insight into Japanese culture. Let’s take a look at where you can find these must-see destinations. The Buddhist Monuments in the Horyu-ji area of Nara were among the country’s first four UNESCO World Heritage Site designations in 1993. The UNESCO site includes a variety of buildings that can be found in Horyu-ji and Hokki-ji. These buildings are culturally important and contain some of the oldest existing wooden buildings in the world, dating from the seventh to eighth century. Horyu-ji was built in the year 607 and is a treasure trove of Japanese art and many important buildings, like its kondo (main hall) and five-story pagoda. Many of the historic monuments are also National Treasures of Japan and reflect an important age of Buddhist influence in the country. Kyoto was the ancient imperial capital of Japan and its center of culture for more than 1,000 years. The UNESCO World Heritage Site Historic Monuments of Ancient Kyoto encompasses 17 locations within the city of Kyoto and its immediate vicinity. They include 13 Buddhist temples and three Shinto shrines, all registered as World Heritage Sites in 1994. Many of these places are must-see destinations in Japan for any traveler and include famous sites such as Kiyomizu-dera, Kinkaku-ji (The Golden Pavilion), Ryoan-ji and Byodo-in. Kyoto, with its ancient of history and strong culture, is a place where visitors and residents alike can still feel the traditional charm and ancient history of Japan. Itsukushima Shrine, located on the sacred island of Itsukushima—commonly known as Miyajima—in Hiroshima Prefecture, was added as a UNESCO World Heritage Site in 1996. The shrine is one of the most beautiful and unique in Japan, and is best known for its “floating” torii gate that appears to be floating upon the water at high tide, and rising out of the sea at low tide. The first shrine buildings were probably erected in the sixth century. Several buildings and possessions at the shrine have been designated as National Treasures of Japan, and many deer roam the area, domesticated enough to wander among the crowds. Nara was Japan’s first permanent capital, and is home to many important cultural and historic treasures. It is considered the fountainhead of Japanese culture and the birthplace of the nation of Japan. This UNESCO World Heritage Site encompasses eight places in the old capital of Nara in Nara Prefecture, including five Buddhist temples and one Shinto shrine, all of which were registered with World Heritage in 1998. Some of the UNESCO sites include Todai-ji (home to the iconic Great Buddha), Kasuga Taisha Shrine, Kofuku-ji and Yakushi-ji. Nikko has been a center of Shinto and Buddhist worship for many centuries, and was a sacred site for the Tokugawa Shogunate. The location is striking in its architecture and glorious natural surroundings. The UNESCO World Heritage Site of Nikko encompasses 103 structures, including two Shinto shrines and one Buddhist temple. UNESCO listed the sites as World Heritage in 1999. The sites are Futarasan Shrine, Tosho-gu Shrine (where shogun Tokugawa Ieyasu is enshrined) and Rinno-ji Temple. The Nikko area is famous in Japan for its beautiful natural landscapes as well, which provide serene scenery to its famous sites. The Sacred Sites and Pilgrimage Routes in the Kii Mountain Range are a UNESCO World Heritage Site located on the spectacular Kii Peninsula. Together they became a World Heritage Site in 2004 based on their historical and modern importance in religious pilgrimages. The Kii is a place with over 1,200 years of history, and is noted for its fusion of Shinto and Buddhist beliefs. The three sacred sites of Yoshino, Omine and Kumano Sanzan (a set of three Grand Shrines) and the temple complex of Koyasan are connected by ancient pilgrimage routes to the ancient capitals of Nara and Kyoto. The pilgrimage routes pass through densely forested mountains covered in streams, rivers and waterfalls. The Temples, Gardens and Archaeological Sites Representing the Buddhist Pure Land is a grouping of five sites in Hiraizumi in Iwate Prefecture. It was designated a UNESCO World Heritage Site in 2011. The most famous site is Chuson-ji Temple, which was founded in 850 and is famous for its Konjikido Golden Hall that is—you guessed it—completely covered in gold. Motsu-ji Temple, located adjacent to Chuson-ji, was built in the ninth century, and gives you an idea of how temples and their environs would have looked way back in the day. Hiraizumi preserves the historic culture of the 11th century of Japan with over 3,000 national treasures—a truly stunning volume of history. Mount Fuji, or Fujisan as it's known in Japanese, is Japan’s most recognizable landmark and a sacred site. Located on the main island of Honshu about 100 kilometers (62 miles) southwest of Tokyo, it stands at 3,776 meters (12,388 ft) as Japan’s highest mountain. It was added to the World Heritage List as a Cultural Site in 2013 (as opposed to a Natural Heritage Site) because it's inspired artists and poets—such as Katsushika Hokusai's 36 Views of Mount Fuji—as well as being a pilgrimage destination for centuries. UNESCO recognizes 25 sites of cultural interest within the Mount Fuji region, including the mountain itself, the Fujisan Hongu Sengen Shrine in Fujinomiya City, and six other Sengen shrines.